Do you want to be the center of attention on your night out on the town? 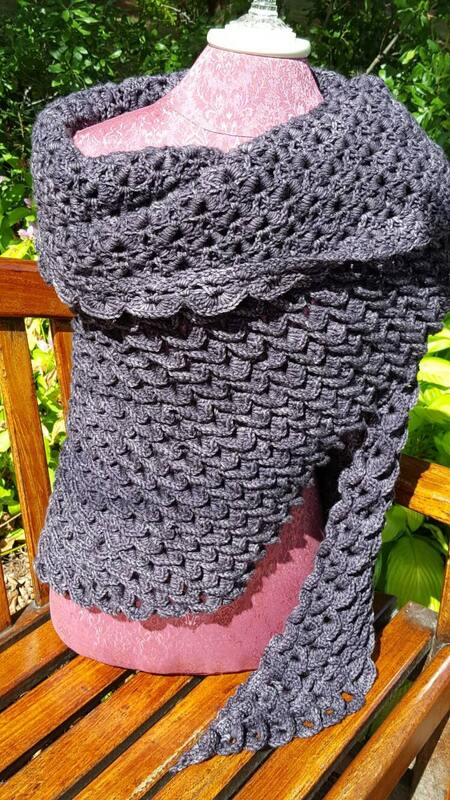 You can be with this custom created crocodile stitch shawl wrap in your choice of color! 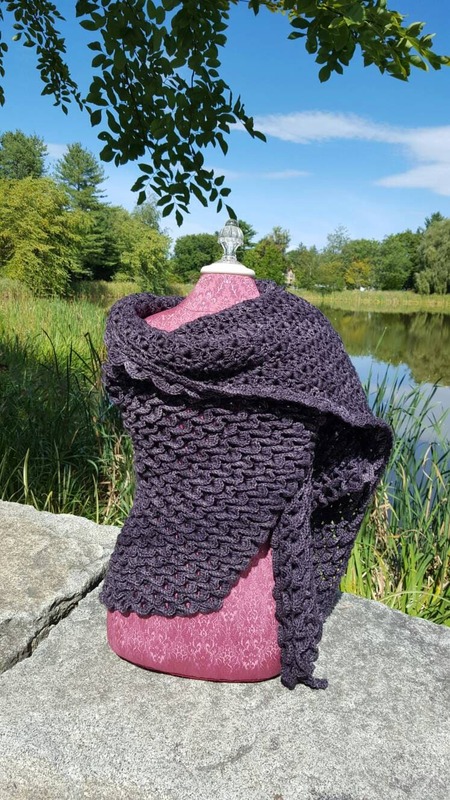 Hand crocheted with a stitch that's described as alligator's skin, this ever-so-warm triangular shawl will keep you warm on a cool fall or winter's eve. 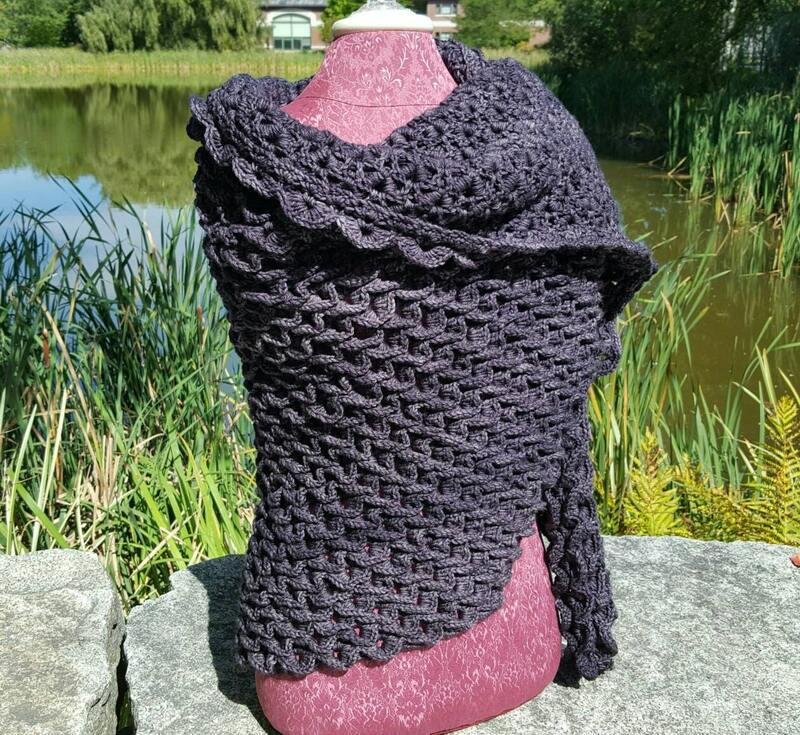 Wear over a turtleneck sweater, drape over your winter coat, or wear to a play over your best evening gown, you're sure to turn heads with everyone asking "Where did you buy your fabulous wrap!" 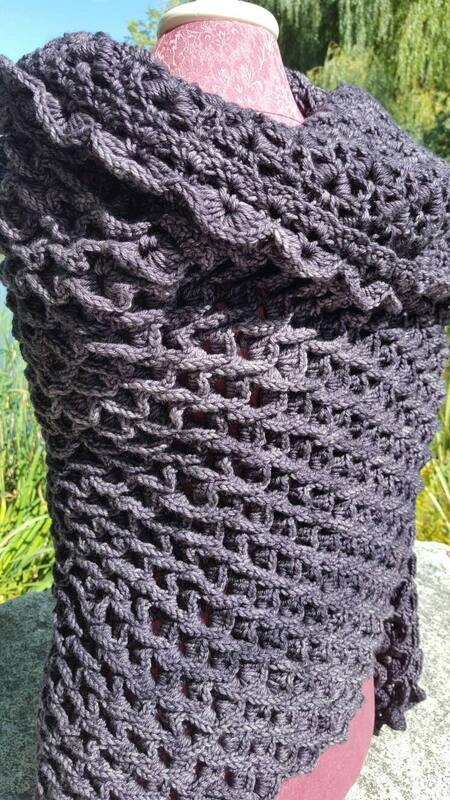 The material shown is a lovely Malibrigo Rios Superwash Wool Yarn. 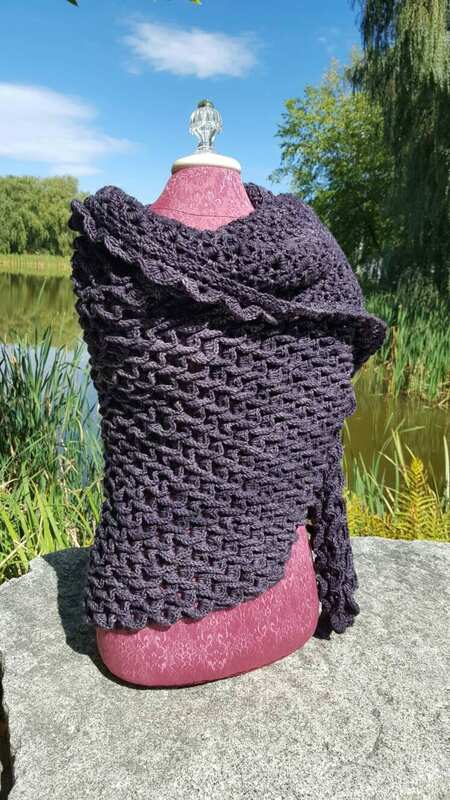 This unique and OOAK shawl can be made in a variety of yarns. Color and yarn used will be customer's choice.